If you have gone to the trouble of breaking free of addiction then it is only fair that your life should begin to improve. You would have made this major life change, so you deserve to reap the rewards of your hard work. It is natural to expect things to improve for you but the problem starts if your expectations are too high. It is unlikely that your descent into addiction happened overnight so it is unrealistic to expect things to improve overnight too. 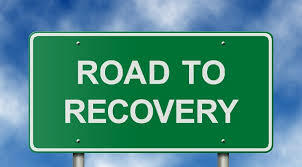 It will take a bit of time, and the goal in recovery will be progress and not perfection. What usually happens is that people notice a significant improvement in their life during the first few months but then the pace of change slows down. Things will be steadily getting better for you but the process of change can eventually be so slow that you do not really notice unless you closely monitor your progress (this is why it is so important to keep a recovery journal). If you have unrealistic expectations for recovery then it could hold you back from getting the most out of this new life. Below are 10 reasons why it would be much better if you were more open-minded about how the process would unfold. Imagine if life always turned out as expected – it would be incredibly boring, would it not? This way of living might be nice in the beginning but once the novelty wore off, the fact that you always know what will happen next would make things a bit boring. The good news is that life is not like this; the downside of this reality is that things do not usually turn out as you expect them to. Having unrealistic expectations means creating a situation in which you will be disappointed on a regular basis. This disappointment can lead to a lot of unnecessary suffering, even putting your sobriety at risk. It will take a good deal of effort to build a strong sobriety, but having unrealistic expectations means it would put even more pressure on you. This can mean that things start to feel overwhelming as you realise that you have far too much on your plate. The additional stress of unrealistic expectations is an extra weight you do not need to be carrying. The most effective way to find happiness in recovery is not to keep on accumulating more things but in appreciating what you already have. The problem with unrealistic expectations is that it creates a scarcity mentality whereby the things you have in your life now do not feel good enough. This lack of gratitude means you are always waiting for something better, never fully enjoying what you do have. Developing gratitude is one of the most important ingredients of a successful recovery from addiction; however, you will not be able to develop this trait while your expectations are too high. If you believe that happiness depends on achieving the next goal, you have become goal orientated. This is a problem because you will be only spending a tiny amount of your life actually achieving your goals but the rest of the time is spent working towards them. It means that you can end up viewing most of your life as a hassle that you have to get through in order to reach the next goal. It is much better if you develop a process-orientated view towards life. So instead of seeing goals as the ‘be all’, you see them as just direction you are aiming towards. You understand that the real joy is found in working towards the goals rather than actually achieving them. Unrealistic expectations can pull you in the wrong direction in recovery. You then become so obsessed with achieving your goal that you stop doing the important things that are keeping you sober. It is vital that sobriety becomes your number one priority in life and you need to prevent anything from getting in the way of this. One of the keys to happiness in recovery is for you to find a sense of meaning and purpose. If you fail to do this, life would then lack meaning and you may not see the point in staying sober. One of the odd things about finding your purpose in recovery is that it often turns out to be something you never expected. It may end up being something you never even considered doing before that turns out to become a huge part of your life. The problem with having expectations too specific is that it could prevent you from finding your real purpose in life. You could become so focused on what you think you need that you miss the things that would really make you happy. If you become too stressed then it will be bad for your mental and physical health. Setting the bar too high means you are taking on an unnecessary burden, thereby insuring that there will be a lot of stress in your life. If you are too inflexible in your ideas about the way things should be, it is almost certainly going to put you in conflict with others. This inflexibility can also make you appear too intense, meaning this might make it harder for you to make friends. Life is all about compromise so most of the time making others feel valued will be more rewarding than getting what you want. Unrealistic expectations encourage self-obsession and this tendency to be always looking inwards can become a major source of suffering. If your expectations are obviously unrealistic then you might have to resort to magical thinking in order to achieve them. This could involve things like believing that if you wish hard enough, it will allow you to win the lottery. Strange things do happen in life but, if you become too dependent on magical thinking, it could put you out of touch with reality and on a path of misery and disappointment. It is better to have realistic expectations, but if magical things do happen to you then this could be viewed as a bonus. The biggest danger with unrealistic expectations is that it can easily lead you back to alcohol or drugs. In fact, one of the reasons many people develop unrealistic expectations is that they are looking for a justification to relapse; this can happen consciously or unconsciously. If the person wants an excuse to drink or use drugs again, he or she could create a list of impossible demands for sobriety and then when these demands are not met, he or she can blame this for the relapse.